The SHRINKING SAFETY PIN is a very clever and intriguing close-up item. 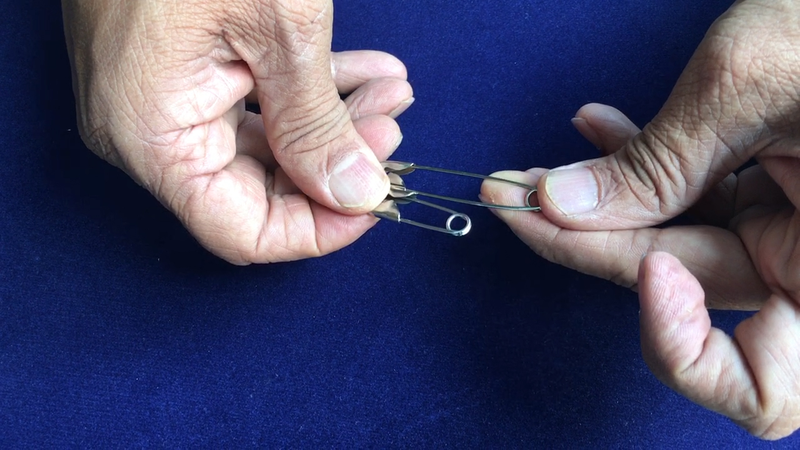 A large size safety pin shrinks to a smaller and smaller size in the magician's hand and ultimately its 'Head' and 'Tail' almost touch each other! To make it more convincing, every time it shrinks, it is compared with another safety pin of the original size. At the end, the shrunken safety pin is stretched back to its normal size. Both safety pins are handed over to the spectator for examination, which of course are found to be regular in every way! What More Could You Ask? ?